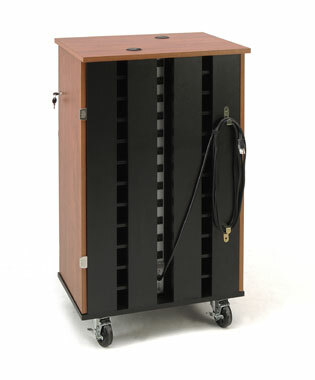 The tablet charging and storage cart is designed to hold up to 24 mobile tablet devices. The doors features hinges that allow the door to swing all the way open. 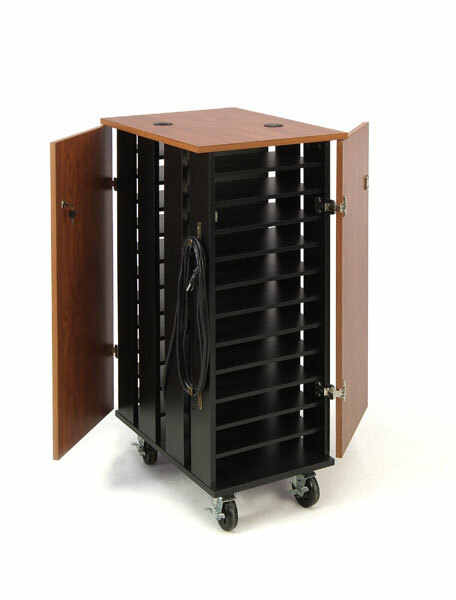 This cart features 2 doors on opposite sides of the cart with locking mechanism that are used with locks to secure your devices. The back has an recessed power strip with 12 outlets. The slotted panels on the back of the cart help with ventilation.